History - The clan originally came from Iwa. A young boy discovered his gift one day and with it accidentally destroyed an entire city block, killing everyone in it. He fled the village out of fear for his life, and was kidnapped and used as a weapon against villages. Eventually, the boy was released but chose to remain in Iwa. He has since become the Tsuchikage. 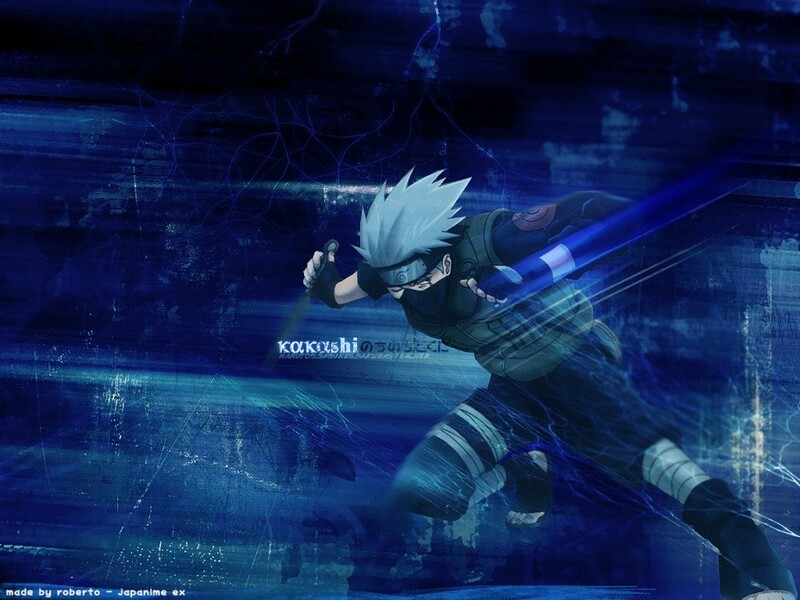 Kekkei Genkai - The clan members are capable of creating shock waves off of any point of their body. The waves are infused with earth chakra and are mainly used to manipulate earth or destroy buildings. The clan's dojutsu is capable of seeing weaks and cracks in any object thus allowing them to see how a shock wave will affect it best. Description – The doujutsu of the Xi clan they are capable of seeing weaknesses and cracks in any surface or object. They have the appearance or cracked stone once activated. By seeing the flaws they are able to destroy objects by finding their weak points. Level 1 (Genin): Can see cracks in earth and earth structures. Level 2 (Chuunin): Can see cracks and weaknesses in weapons and armor. Level 3 (Jounin): Can see flaws in basic human bone structures. Description – Allows the user to send out a small shockwave out of their body. Not very good for fighting so is mainly used to deflect small projectiles or to make an opponent stumble by being caught off guard. Description – The user channels earth chakra to his foot and smashes it into the ground. Once that is done the ground approximately 10 yards in every direction will shake as if there was an earthquake. Good for catching opponents off guard. Little damage done though. Description – The user channels earth chakra into a particular part of their body and aims it at the target. A powered shockwave will be shot in that direction. Good for direct hits on opponents or disrupting jutsus that require the same amount of chakra. Description – The user channels chakra into their hand and smashes it to the ground. Once they do the shockwave will travel far and cause a spike of earth to rise up to stab/smash the opponent. Description – The user channels chakra into the ground and slams their foot towards their opponent. Once done the ground beneath the opponent will give way revealing a pit benearth them. Once fallen in they must work to get out or the user can combo by using Burial Jutsu. Description – If an opponent is caught by Grave then the user can slam his foot into the ground near the grave and cause the pit to collapse on itself. Hard to avoid and usually will at least hit the opponents with a few rocks before getting out. Description – Taiga will take a strong swing with his Zanbatou, channeling chakra through into it, when the strike hits it gives off an omni-directional shockwave for two meters, a good attack for a close in suprise, can be used in conjunction with the Torn Earth Eyes to do incredible damage to a structure or object. Description – The User channels chakra into their weapon, and Swings it hard, giving off a Mono-directional razor sharp shockwave, Strong enough to cut through C ranked Jutsu and match the strongest B ranked jutsu, After about 30 meters this jutsu becomes completely harmless. Description – The User creates a shockwave behind or under himself to give a sudden uncontrolled burst of speed to about a speed to 70 or jumping boost. Good for suprise attacks or quick escapes, but uncontrolled and only a one time per use movement. Description – The user channels chakra throughout his entire body and releases it through one large blast. The attack is good if surrounded or if they are unsure where the opponent is. Attack everything within a 20 feet radius and can deflect a single A rank jutsu or below. Description – The user will concentrate on a fixed point and will begin flowing chakra thorough the ground to that spot. Once a large build up of chakra is made the user will detonate it causing a large shockwave burst to spread out in all directions from that area. It takes one post to channel the energy and upon release the user will be blasted in a direction. Causes extreme physical pain and would most likely break some bones. Description – The user will once again rapidly channel chakra into their hands and begin smashing them into the ground. The earth will be caused to shake approximately 40 yards in all directions usually disrupting opponents movements and attacks, along with this multiple shockwave bursts are shot out of the users body towards the opponent. This attack is used to stun and annihilate the opponent.